Choose from a variety of sweet and tart flavors, including strawberry and mango. Located at the Venetian Casino food court and the MGM Grand's food court, Tacos N' Ritas stands out with its fresh Mexican specialties like quesadillas, nachos, and burritos made with fresh, warm tortillas. Some favorites include sweet pork barbacoa and chili beef carnitas, and in the morning breakfast tacos and burritos are there to get you going. Tacos N' Ritas' frozen margaritas might be their biggest hit. 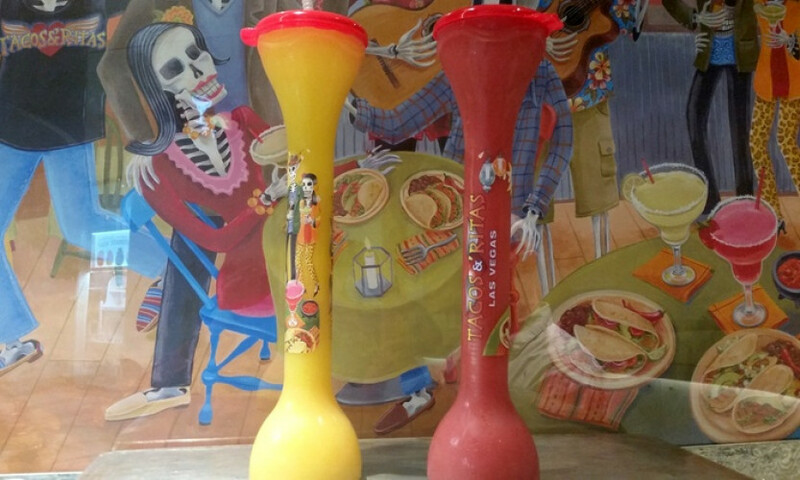 Available in three sizes between 20 and 44 ounces, they come in flavors like strawberry and mango or in a tall yard glass that can be used later to store casino chips.